The upside to using the '''Files to Show''' restriction is that it doesn't block those files from other users inside MC (they remain within the "common user library"). 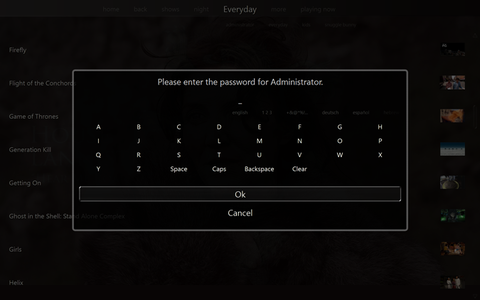 And, it allows you to restrict files in a variety of categories from certain users "automatically" as you simply tag your files as you normally would anyway. 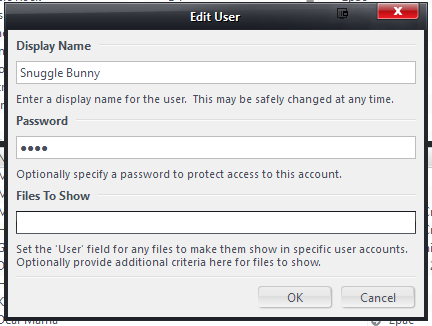 With the [[Users#User_Field_Restrictions|User field method]], you have to explicitly assign individual files to a particular user (and then only that user can see the files). As a warning, these two items ''can'' exclude one another. So, using my example above where I assigned ABBA to the Kids and Snuggle Bunny users. 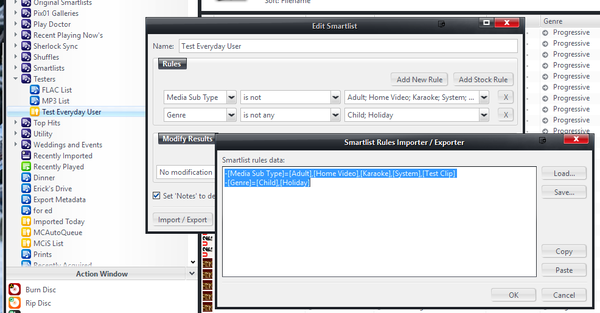 If the Kids user has a search like the one above, and ABBA was classified as <tt>[Media Sub Type] == [http://rule34.paheal.net/ Adult]</tt>, then the Kids still wouldn't see the files even if you (perhaps accidentally) assigned those files to them. As a warning, these two items ''can'' exclude one another. 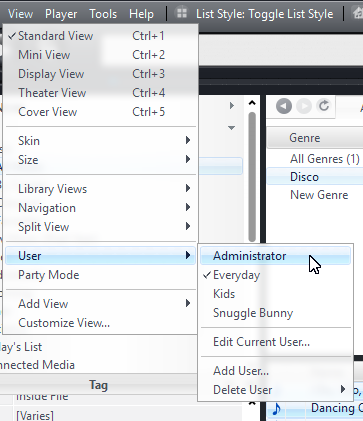 So, using my example above where I assigned ABBA to the Kids and Snuggle Bunny users. If the Kids user has a search like the one above, and ABBA was classified as <tt>[Media Sub Type] == [https://en.wikipedia.org/wiki/Rule_34_%28Internet_meme%29 Adult]</tt>, then the Kids still wouldn't see the files even if you (perhaps accidentally) assigned those files to them. 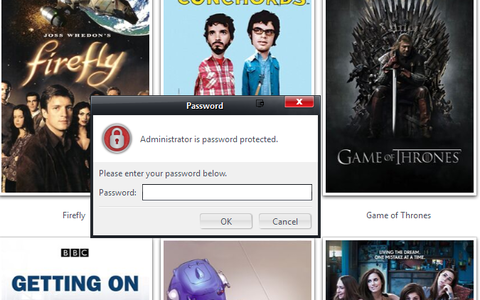 In this way, it is possible to hide some files from ''all users'', so be a bit careful. 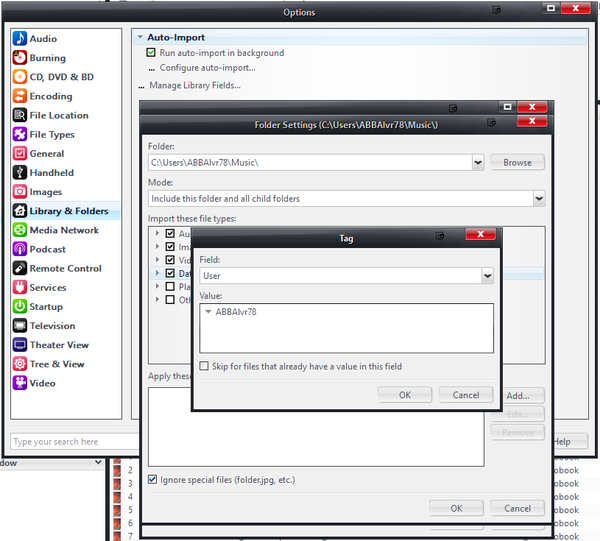 If the files in question are assigned to ''only'' a particular user, and that user has a filter in '''Files to Show''' that prevents them from seeing those files, then no one but the ''Administrator'' would be able to see the files. You can use the full power of MC's Search Rules to construct pretty much any combination of filters you can dream up. 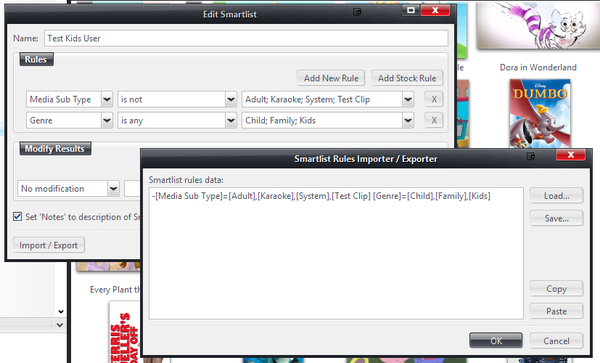 For further information, please see the Smartlist and Search - Rules and Modifiers page.